Education and Employment in the Winelands – Take That First Step! And although we do need government projects and a structured approach to ensure we successfully address this very serious matter, I also believe that we have to get involved at grass roots level. I have preached the employment from local communities many times before – especially with reference to the important role agriculture and tourism can play in doing so. Education and skills training is however essential to doing this successfully. 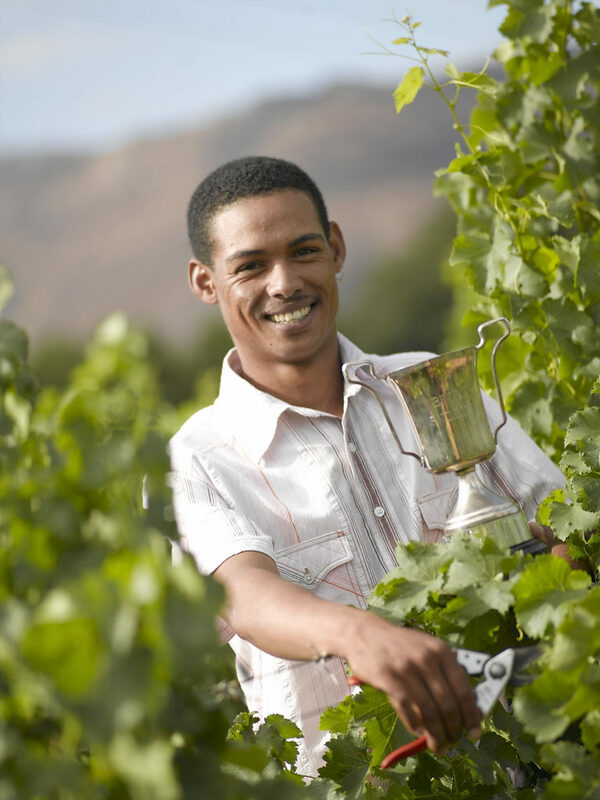 This weekend The Cape Wine Auction will raise funds for education in the Cape Winelands. The Trust with its 19 beneficiaries is focused and strategic and really inspires anyone who believes in getting involved and making a difference. Another opportunity that we have recently identified, is to help matriculants from the Winelands to become employable. The First Step Academy focuses on young people from the Paarl / Wellington / Franschhoek area who have successfully passed their matric exams but who are unemployed (age 18 – 25). They lack the opportunity for tertiary studies and do not have the skills and experience that employers require. The programme offers them 2 months of skills training and 6 months of placement in a local company with the prospect of permanent employment. The programme has three phases: the initial selection and contracting process, the readiness and bridge-building process and eventually the work-place experience and mentoring process. Mentorship is so important in the shaping of leaders (read more) and it is of the utmost importance that we stay part of the journey of these students. The ultimate goal is to build a bridge between having a high school education and skills for the work place. In the process we strive to have young adults with a vision, with hope for the future and who can become role models and mentors in their communities. It might be a small step, but it is a first step and sometimes that is all it takes – that first step!